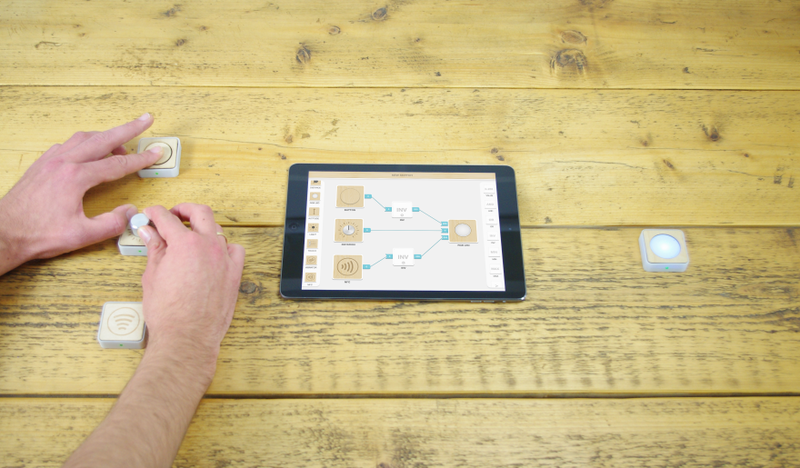 Ding is a set of Modular App-Connected blocks, which each have a distinct function. They can be used to sense, control or act. 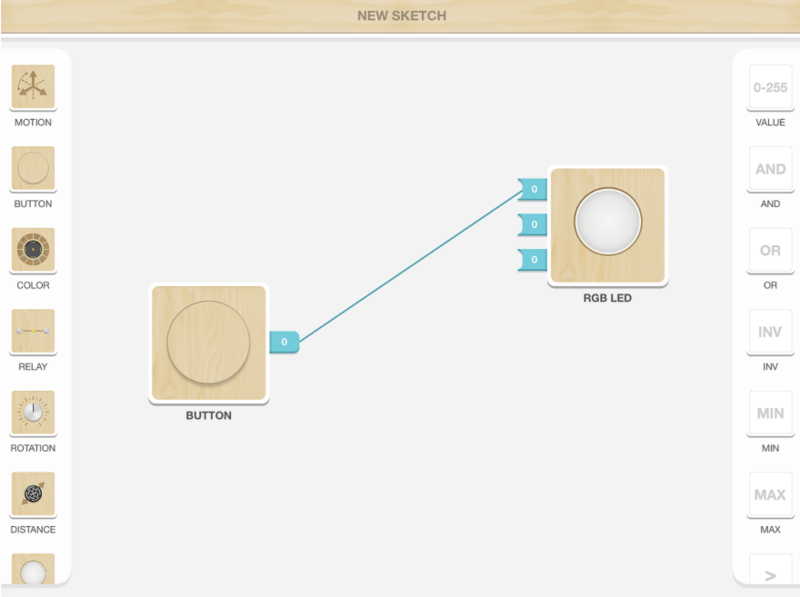 Use the Dings, the Ding App and the world around you to quickly build prototypes! For instance, build a prototype alarm system in just a few minutes! Use the input from a Distance sensor and a NFC-tag reader to trigger a Red flashing LED light when someone passes with the wrong tag. All Ding modules work on a coin cell (CR2032) and connect over Bluetooth Smart (4.0) to most tablets and phones. Ding a set of App-Connected blocks to enhance interactivity and use of electronics in creative sessions. 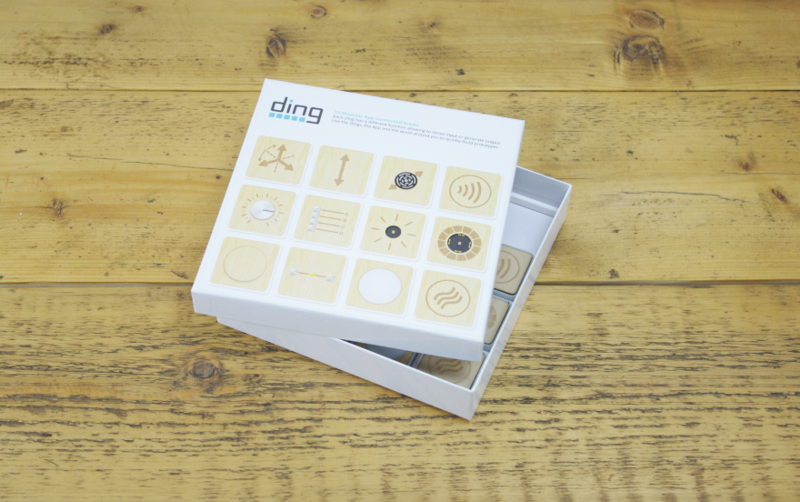 Sophisti came up with the idea for Ding while discussing electronics and software with their clients and end-users. The emotional connection which was there while showing shape, material and colour options simply wasn't there. So we invented, designed, developed and build Ding to bridge this gap. Electronics and software are too important to leave up to engineers alone. This way technology connects people as well as things. That building together resolves barriers is no secret, give a group of people who don't share a language a box of LEGO and they will build a tower or bridge. Today's world is increasingly more connected and we believe Ding can be the vehicle of communication in international multidisciplinary teams of today. Ding is incredibly scalable and since it is all wireless each block can easily be integrated in environments, products or clothing. The App let's your team create new interaction in mere minutes. 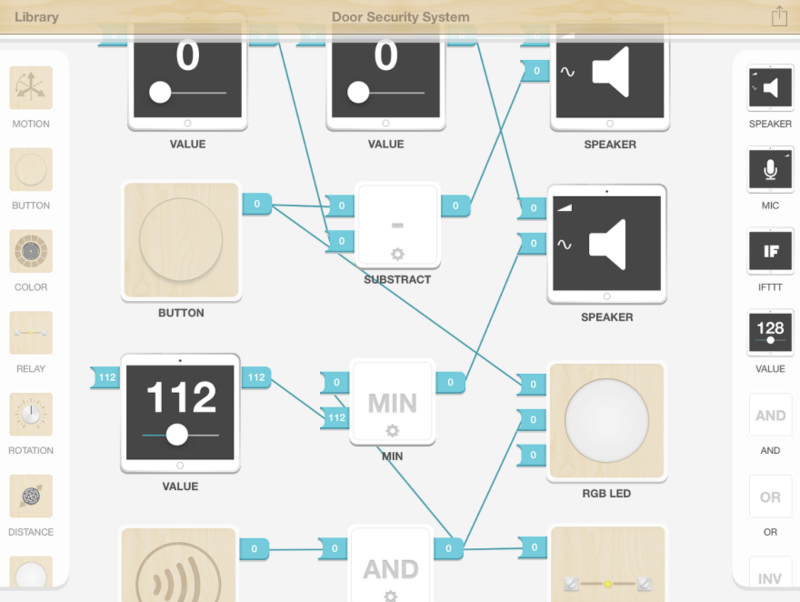 Build a musical instrument, security system or game without any technical knowledge. And for those who do have this knowledge a LUA scripting environment is made available together with IFTTT connectivity. Complex sensors like a barometer, ultrasonic rangefinder or gyroscope come to life when they become part of solving creative challenges relevant to your team or organization. Electronic Circuits and code can be discouraging to play with for those who are not familiar with it. Which is why we have tried to use more common materials like wood, metal and soft white plastic in combination with a simple drag and drop interface in the app. Each block communicates with a 0-255 value so 'What You See Is What You Get'. The first limited prototype series is a success with innovation-teams of big tech and toy companies but also creative agencies. 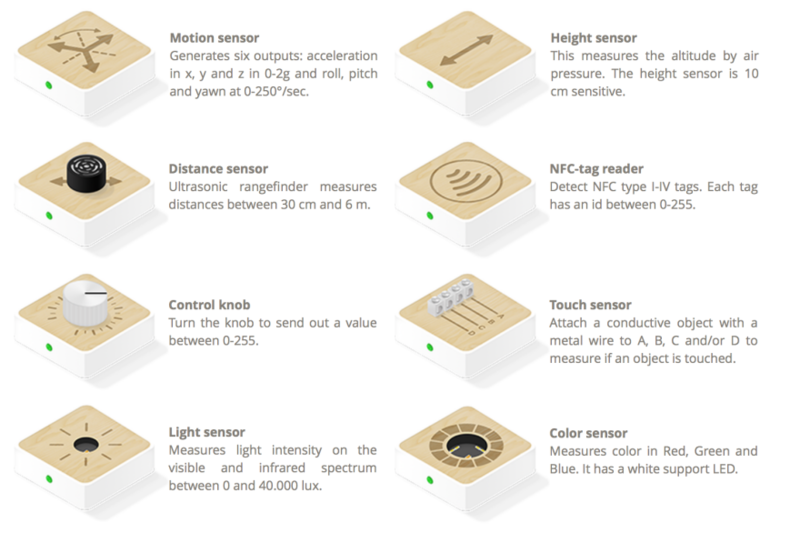 The Ding blocks communicate over Bluetooth Low Energy which is supported by most iOS and Android devices. The App is best suited for tablets like iPad due to the bigger screen size while using them in workshops. Currently the iOS App can be downloaded in the iTunes App Store and an Android version is in the making!